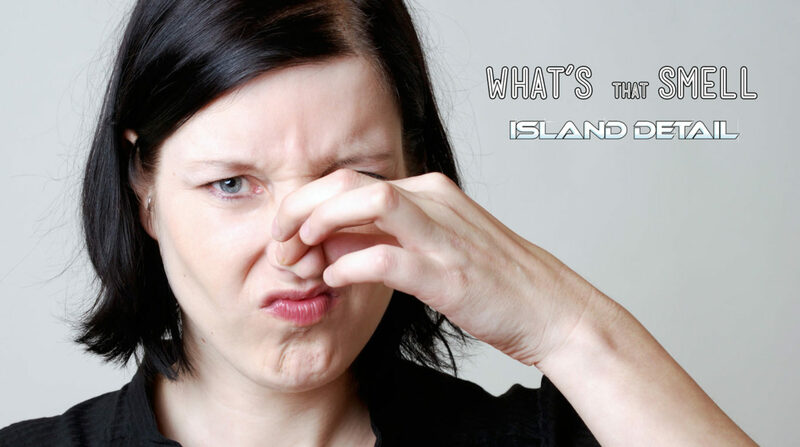 Home Blog Services In-Depth What’s That Smell? Wondering why your car smells? It could be a forgotten sandwich that fell under your seat last week, or maybe a wet towel that you forgot in your trunk from your last trip to the beach. However, a funky smell could be a sign of a more serious mechanical issue. Here is a list of common car-smells, and what is likely the cause. If you are experiencing one of the following odours, you might need to visit your local garage. The scent of burning fabric could indicate a brake issue. Brake problems are not to be taken lightly, so you should schedule an appointment with your mechanic as soon as possible. Moldy odours are probably caused by spilled drinks that have soaked into your upholstery, or bits of food. Before taking you car to a shop, try to remove the stains and smell yourself with a thorough clean. If you are unable to get rid of the problem yourself, bring the car in to get a professional detail. A rotten egg smell has two likely causes; rotten eggs, or an overloaded catalytic converter. When you smell rotten eggs in your car, chances are it’s the latter. Visit your mechanic for repairs or replacement of your catalytic converter. Sometimes small rodents like to crawl up into warm engine bays at night. This can become a huge problem, as they chew wiring and hoses, and can die in your engine bay resulting in a terrible smell. The scent of burning hair in your car could indicate that an animal has been calling your engine bay “home”. Thoroughly check under your hood for signs of rodents, and make sure your parking location is free of fallen leaves and other debris. Have you been doing huge burnouts or smoky donuts? If not, and you still smell burning rubber, your vehicle might have problems with slipping belts, loose hoses, or a trapped plastic bag under the engine or exhaust system. First, check for a plastic bag that may have become trapped. If you can’t find one, tighten and inspect your car’s belts and hoses, or take it in to a shop. This smell is probably caused by a cracked or broken exhaust system. The annoying smells are accompanied by noxious gasses which can impair your ability to drive, and even be fatal. You should immediately visit a mechanic. This scent could indicate many different problems, including that you are in need of an oil change, leaking oil into exhaust manifold, overheated engine or broken temperature gauge, or a faulty vacuum modulator. Fortunately, all of these issues can be easily diagnosed and solved by your mechanic. This is probably an indication of an electrical problem. There could be a short circuit, or wiring insulation may be melting. Bring your car into a shop for a simple fix. There are many problems that could be causing this scent, some are simple and some are serious. The most common causes of a gas smell in your car are: Fuel tank leak, fuel line leak, fuel injector leak, faulty charcoal canister, fuel pressure regulator, missing or loose gas cap. Fixing or replacing a gas cap is easy, so check that first. If your gas cap is ok, then the problem is more serious and you should bring your car to a mechanic. Coolant systems smell sweet; however, the fluids are poisonous. This type of smell probably indicates a coolant leak. Take your vehicle to your mechanic, and make sure it doesn’t overheat along the way. Musty smells are usually caused by mildew growing in a damp place. Often, mildew grows inside the Air Conditioning evaporator. Turn off the A/C and run the fan on high while driving for a few kilometres to dry the system out. If the smell is coming from carpeting, you may need to have your car professionally detailed. So you identified the smell, found the problem, and had it fixed. But the annoying smell is still there! If your mechanic is sure the problem has been fixed, the smell may have worked its way into your upholstery. If this is the case, it’s important to bring your car in for a professional detail so we can completely remove the scent for you. Contact us today so we can make your car fresh and clean.